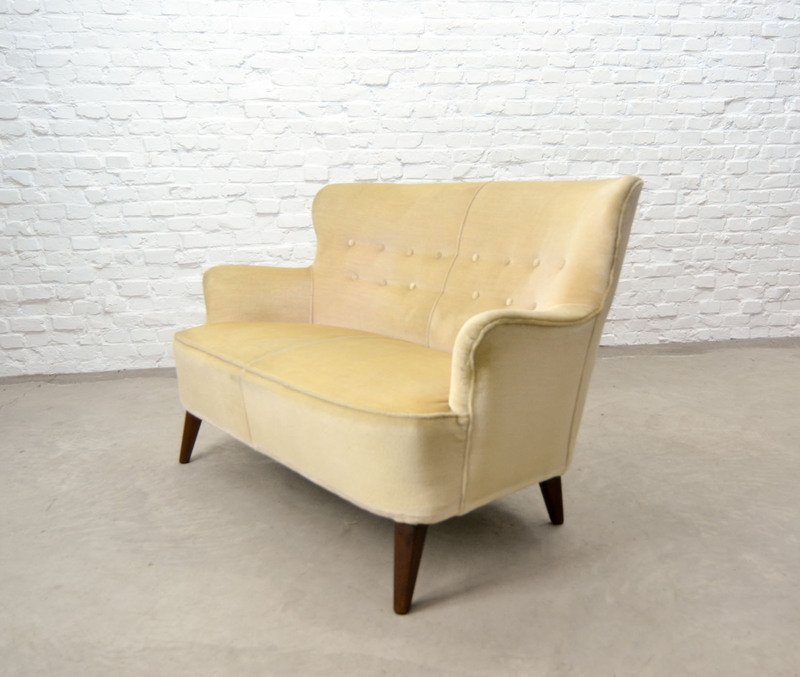 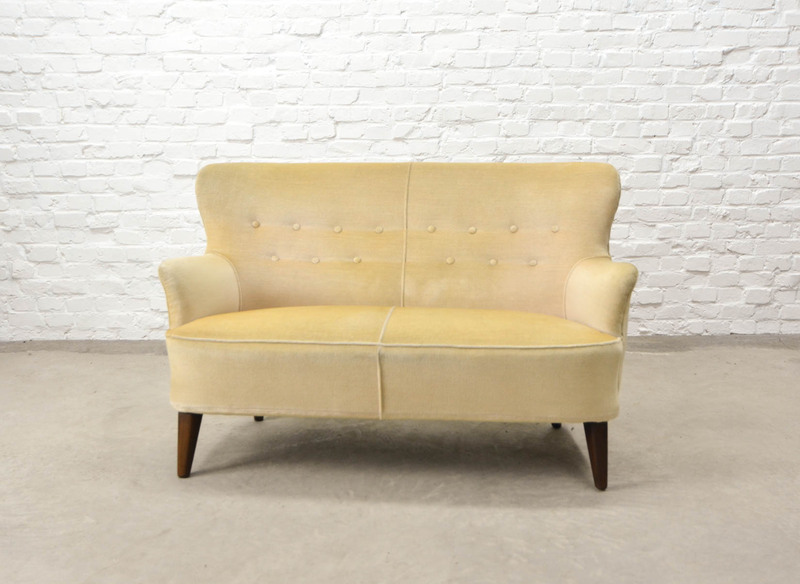 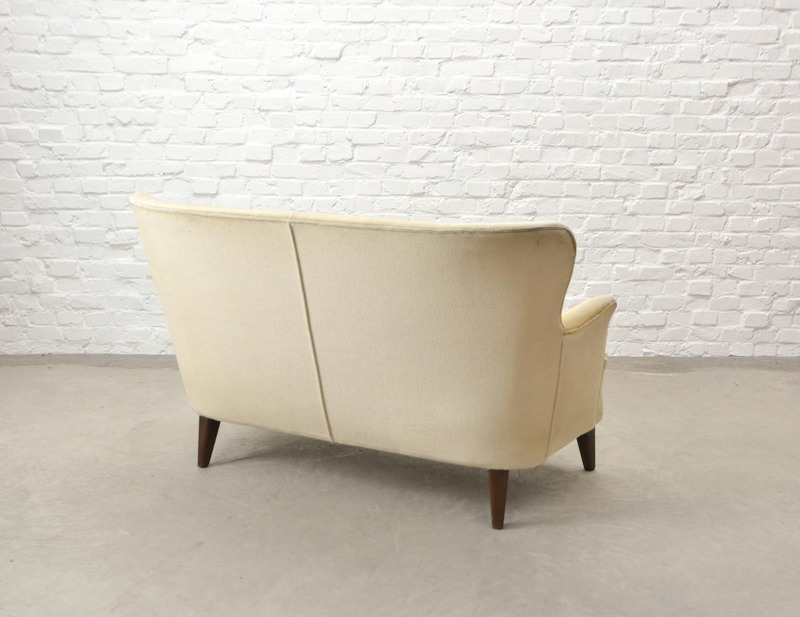 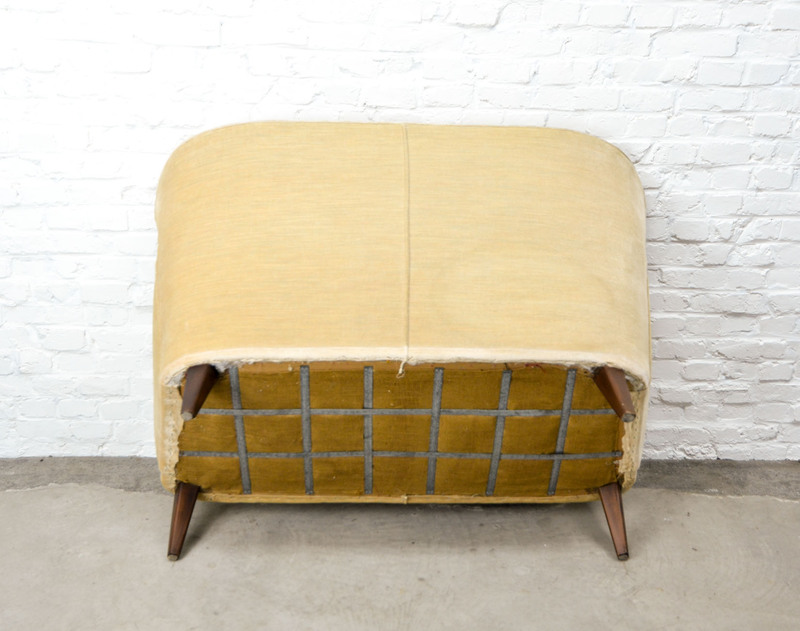 Mid-century Dutch design two-seat velvet sofa designed by Theo Ruth for Artifort in the 1950s. 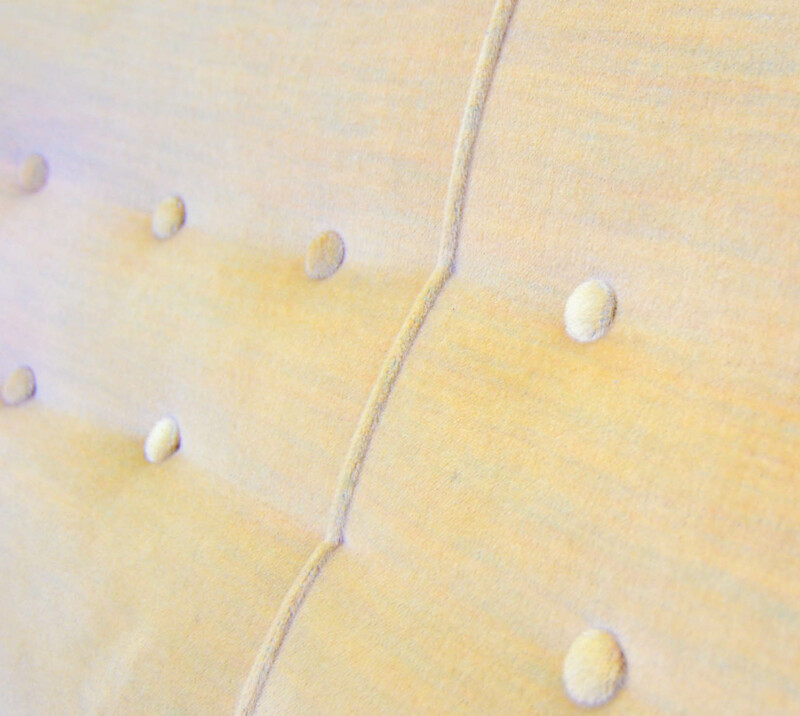 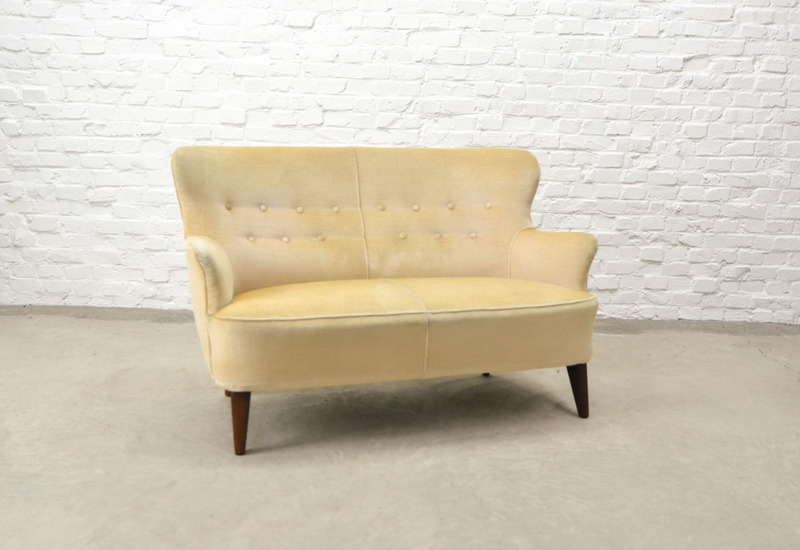 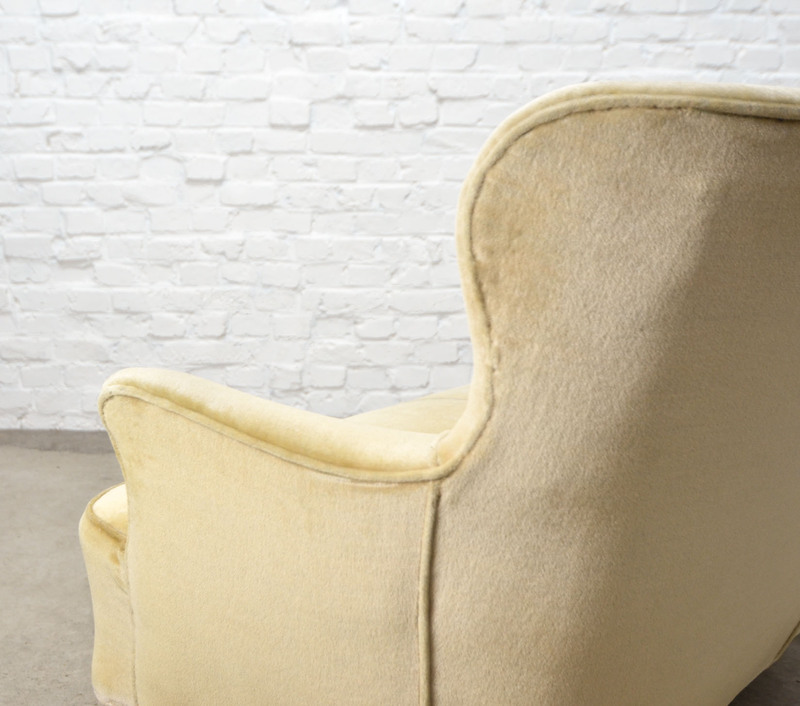 This elegant sofa is upholstered in a shiny soft yellow tone velvet fabric. 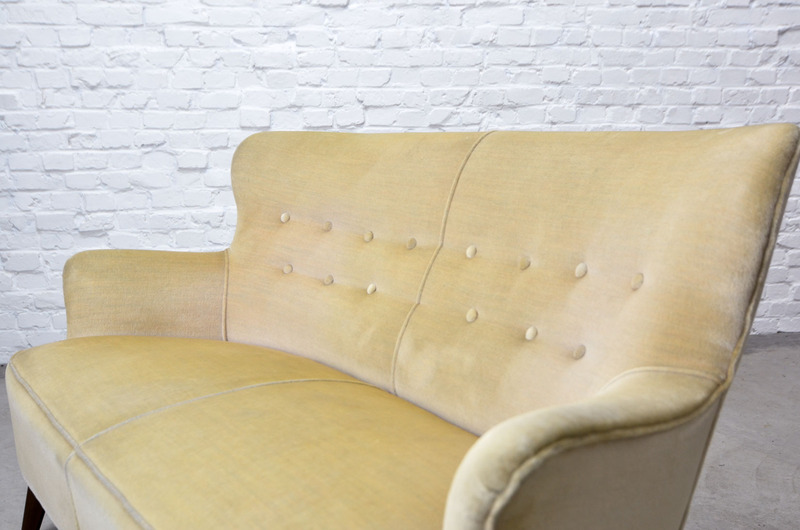 The sofa is in a very good vintage condition.